Y’all, I have pink hair now. I don’t know what it is about having a bright color in my hair for the first time, but I feel like my inner 80’s kid and party girl has come out. Life of course, is not a giant party, but it’s a lot more fun when you have pink hair, I’ve found. 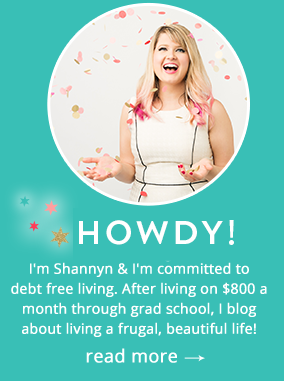 Honestly, even with a little pink, I feel like a living My Little Pony, and I sort of love that…. I really wish I could just do rainbow hair! I’ve been exploring new colors and have had to change up my beauty routine a bit to accommodate for the fact that my hair stands out a lot more than it used to! At first, I thought I’d have to tone down the rest of my apparel and makeup to adjust for the new pink tips, but I’ve found having pink hair makes me take more risks with my outfits and I am loving bright, bold colors lately and sparkles. I’ve also had a black tutu skirt in my closet for 3 months, wanting to wear it, but never really getting to it- I think it’s time to rock it! 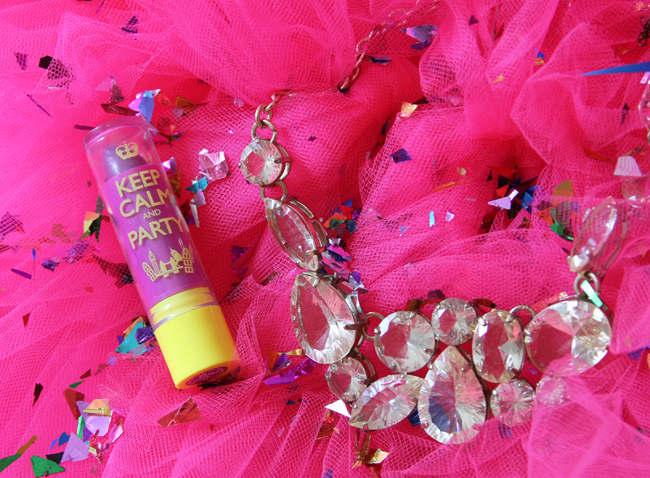 I loved the colors in the new Keep Calm Lip Balm Line, but wanted to try out the Keep Calm & Party- I haven’t ever tried a violet blush balm, and it seemed to match my mood and my new pink hair. 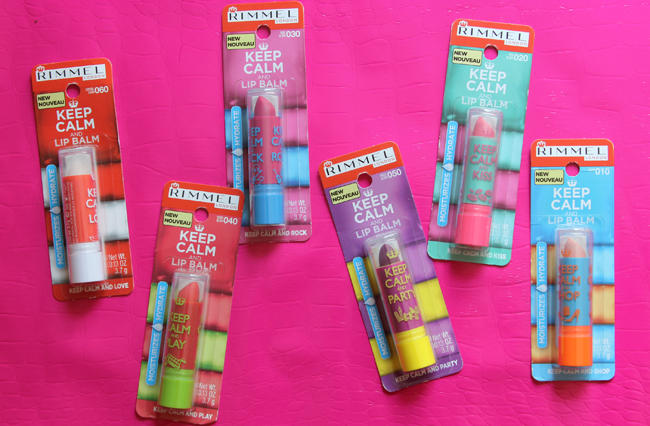 It goes on with a slint tint, so you can put on just enough to moisturize, or you can layer it for more of a color pop. 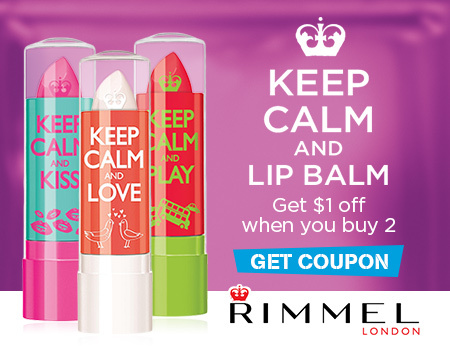 The Keep Calm & Lip Balms from Rimmel are available at Walmart for $2.50. 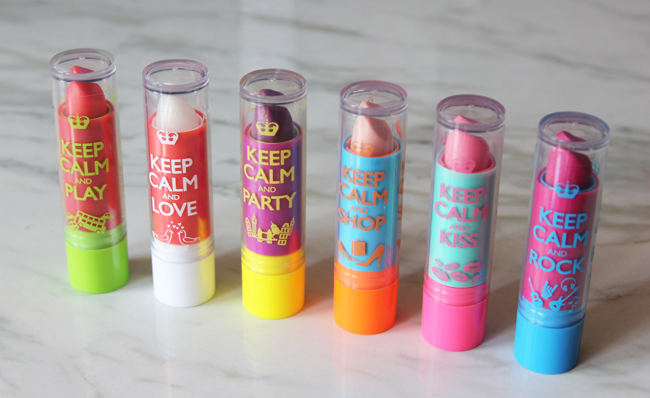 They’re fun, colorful and would make great gifts for the adventurer, shopaholic, girly girl or rockstar in your life. Or, if you just feel the need to channel your inner diva, you can afford to pick up one for yourself! There are some days your makeup reflects your mood, and then, there are other days when your mood reflects your makeup…and if you’d rather be outside playing, or you wish you could go party- at least there’s a balm for that…pink hair or otherwise! How Can You Budget For Things That Come Up? How cute are those? I love the packaging! I did, too! They’re so fun. I love all of the pink! Way to rock it!